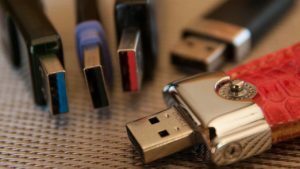 ISO to USB is a self-explanatory program that allows you to make any USB storage device bootable. If you've installed an operating system using a CD or DVD, you know how slow (and loud!) the process is. 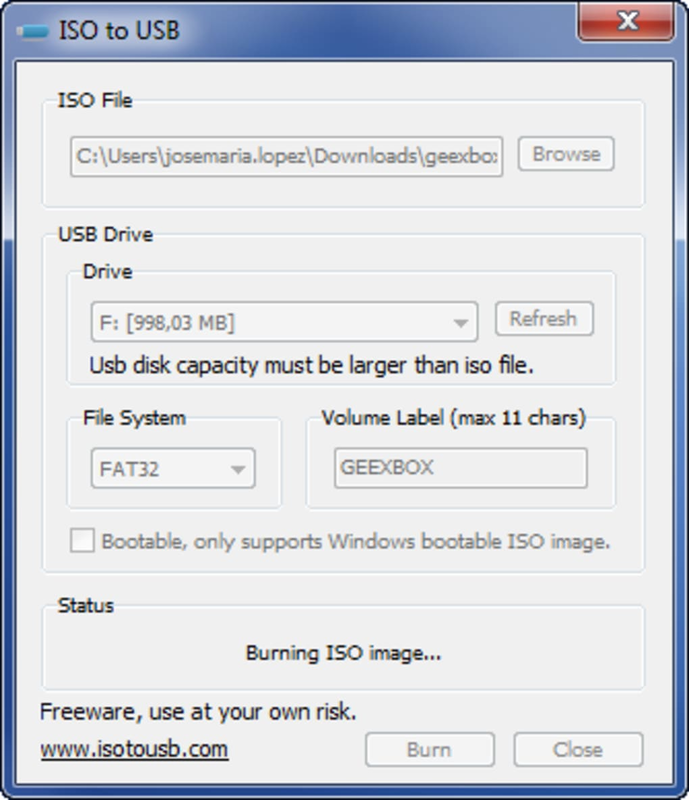 With ISO to USB, you can take a disk image in ISO format and image it directly on the drive. 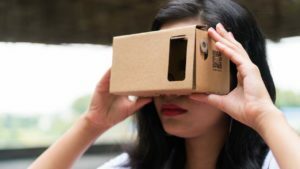 The application is super simple with only a few options for the user to adjust. 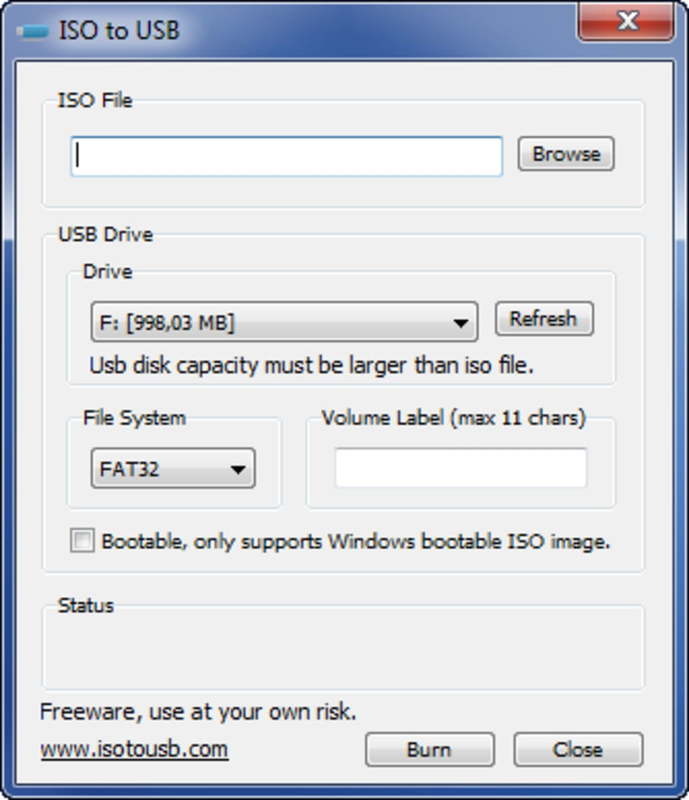 The main interface of ISO to USB presents the user with a drop down of the attached external drives on the computer. 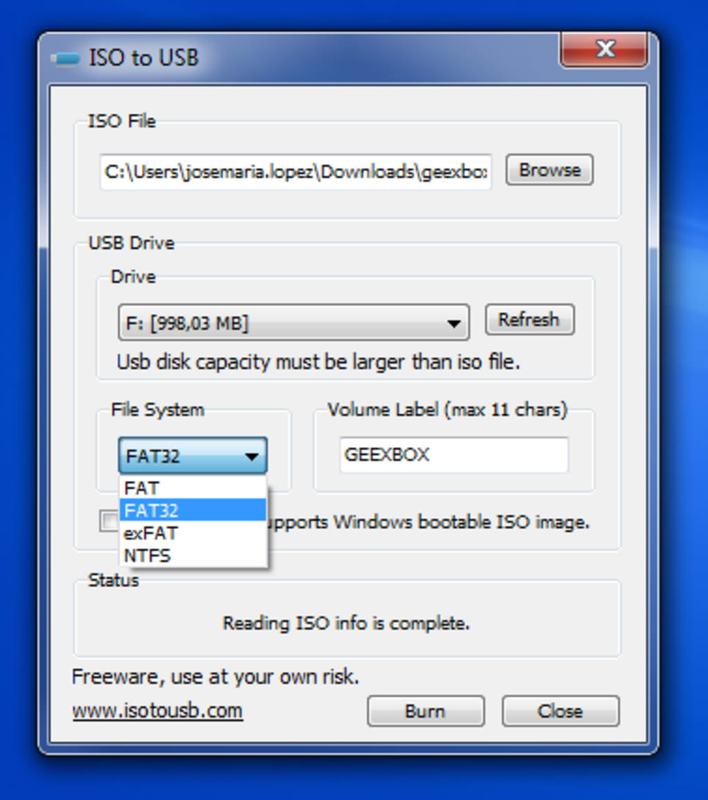 You can choose to format the flash drive to FAT32, exFAT, or NTFS. 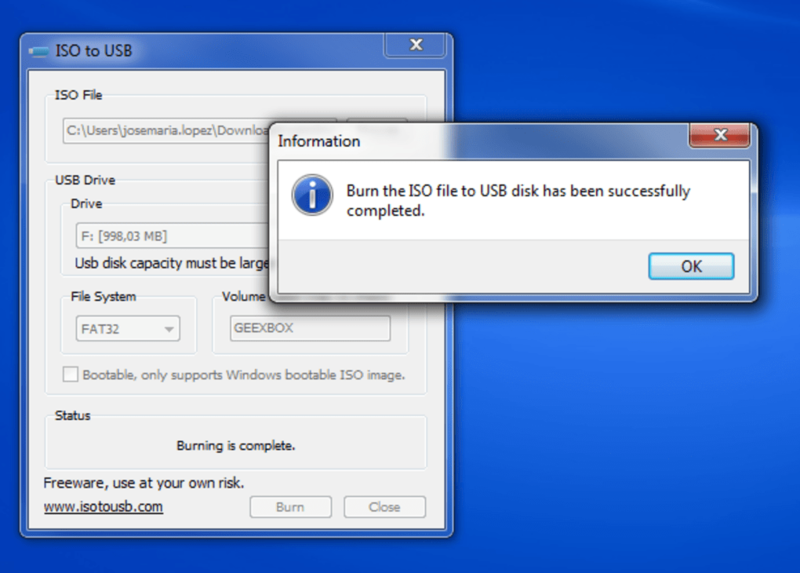 Locate your ISO file and ISO to USB will do the rest. Performance was decent, but ISO to USB froze our system when making our flash drive bootable. 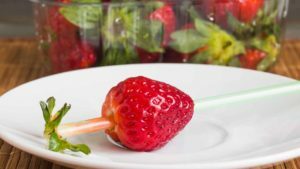 While the system did eventually resume, this is a major and unacceptable flaw. We also wish there were a partitioner built into the application to put multiple images onto large drives. Overall, we laud ISO to USB for its simplicity and quick formatting but having the program freeze our computer while in use is unacceptable. Doesn't seem to be working, sadly.. Pretty much ever ISO I burn to USB with this app does not boot. Yet if I burn the same ISO to cd, the cd works fine. Oh well. 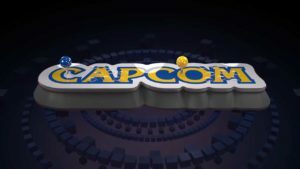 What do you think about ISO to USB? Do you recommend it? Why?